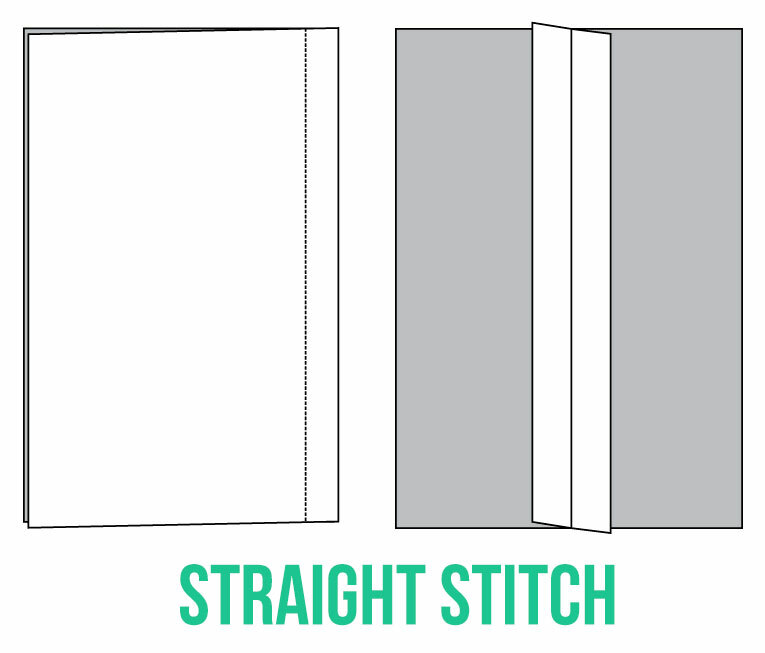 What is a straight stitch? A straight stitch is a basic, straight sewing machine stitch used to join two pieces of fabric, creating a seam. When do I use a straight stitch? 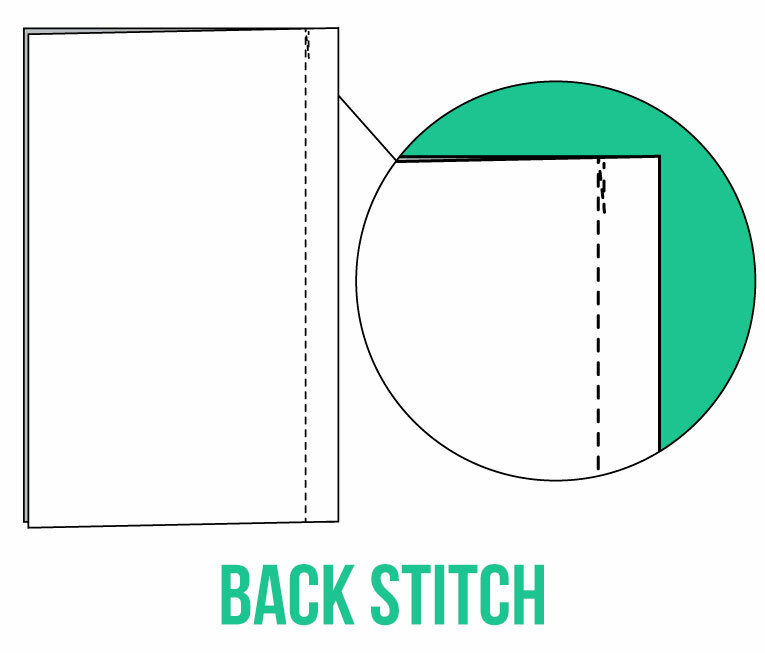 A straight stitch is most often used to sew two pattern pieces together to create a seam. What is a back stitch? A back stitch is used to lock a stitch. When do I use a back stitch? A back stitch is most commonly used at the beginning and end of a seam. 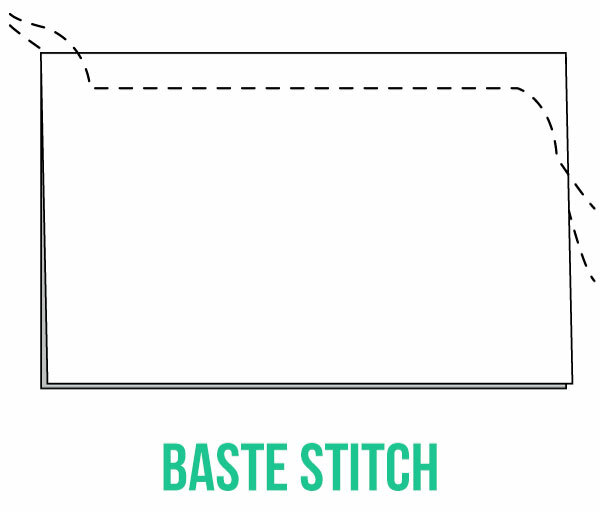 What is a baste stitch? A baste stitch is a long, temporary stitch that is made either by hand or by a machine. Why would I use a baste stitch? A baste stitch would be used to temporarily hold something in place. They are always removed. 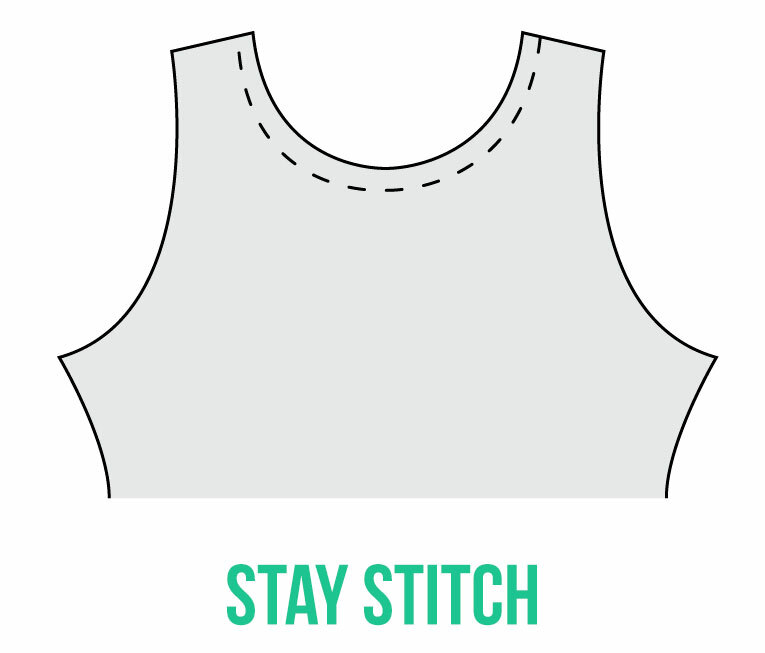 What is a stay stitch? A stay stitch is a plain machine stitch that is done before the garment is sewn together and assembled. What is the purpose of a stay stitch? The purpose of a stay stitch is to prevent stretching or distortion of a pattern piece while handling and sewing the garment. It is most often used in necklines to prevent this distortion. For a closer look at stay stitching, read my article on professional stitching. 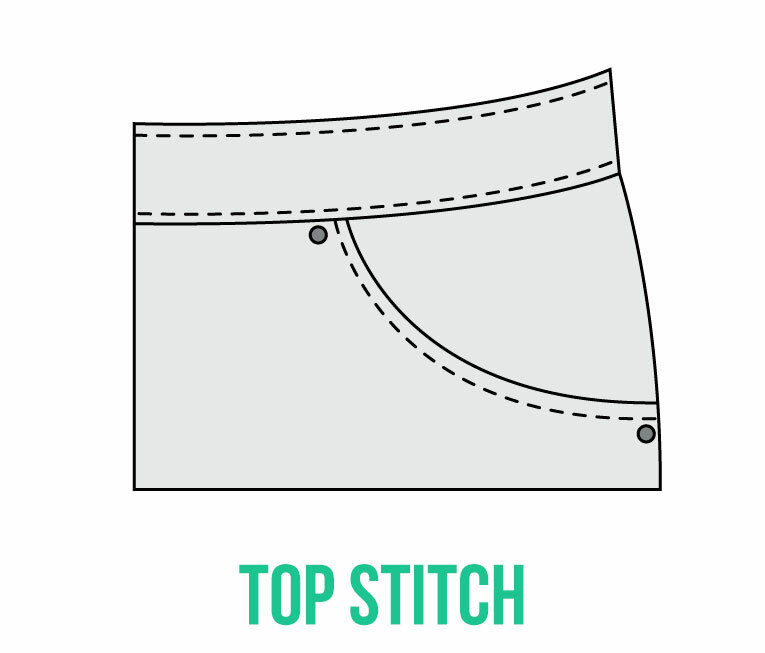 What is a top stitch? A top stitch is a either a single or multiple rows of stitching that is on the outside of a garment. When would I use top stitching? A top stitch is used to outline a seam, or attach pockets, plackets, yokes, etc. It can also be used as a decorative element or to reinforce an area of a garment. For a more in depth look into top stitching, read my article about professional stitching. 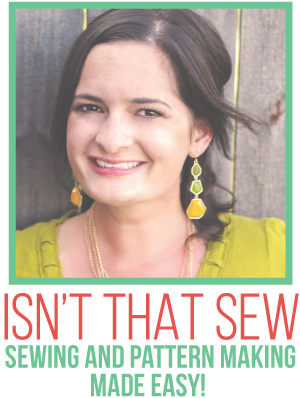 Plus, I share the secret sauce to better, straighter top stitching! What is an edge stitch? 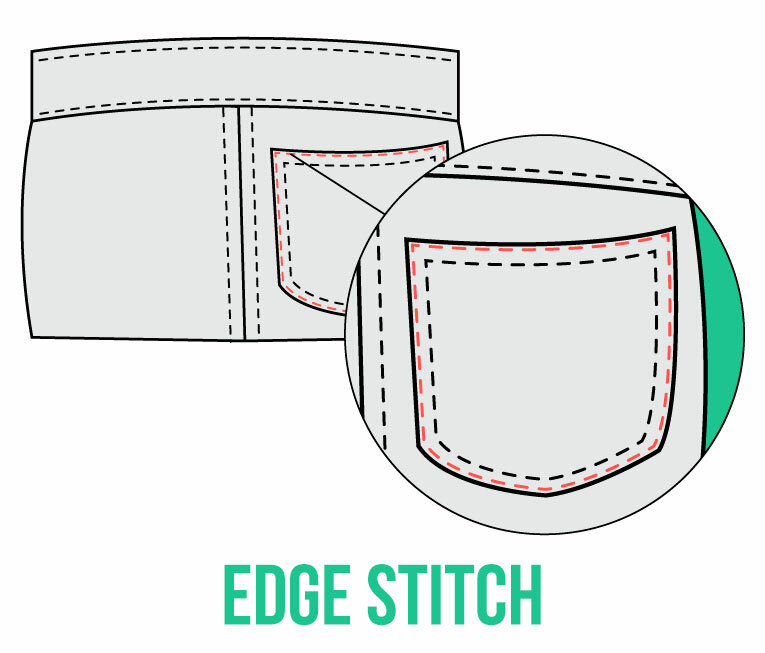 An edge stitch is a stitch that is very close to a seam line, often 1/16 away from the edge. 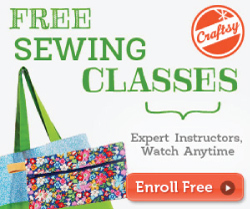 Why would I need to use an edge stitch? An edge stitch would most commonly be used in top stitching. You would use this stitch for example, when attaching a patch pocket. What is an under stitch? 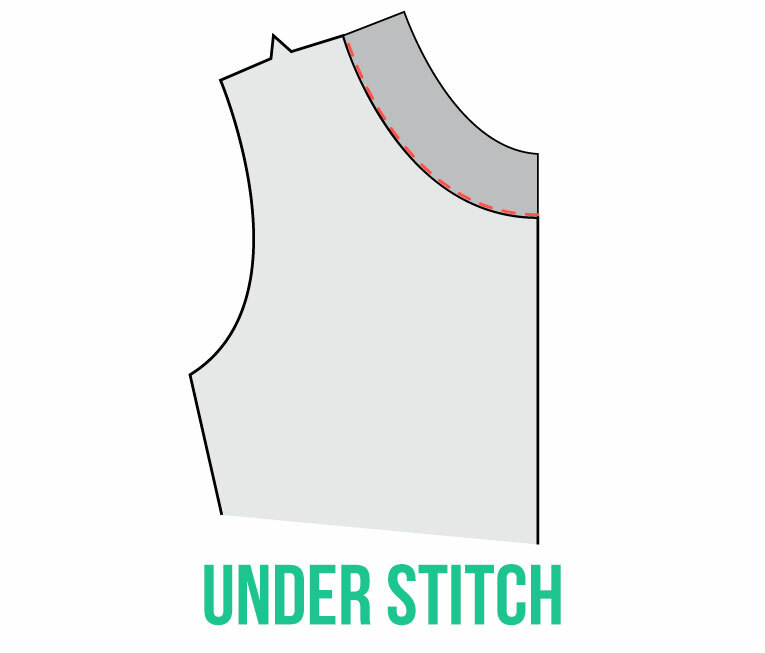 An under stitch is a row of stitching that is on the facing or under layer of a garment. Why would I use an under stitch? An under stitch would most commonly be used to help the pieces of a garment lay flat. For example, under stitching would be used on the facing of a neckline. For more about under stitching, read my article about professional stitching. What is stitch in the ditch mean? 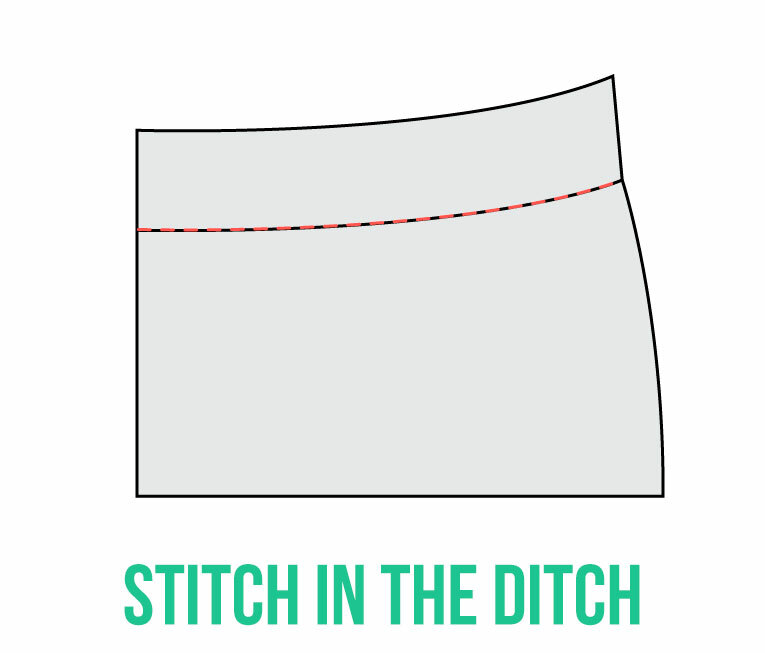 Stitch in the ditch is an expression meaning sewing in the ride of a previously sewn seam. It is done on the correct side of the fabric and is usually invisible to the eye. When would I stitch in the ditch? More often than not, this stitch is used for completing waistbands, cuffs, collars, and french seams. I hope you found this quick article helpful! So beautifully explained. Thank you. Thank you for sharing this useful information. I am a complete beginner and this is really helpful for me. Glad that I can help Kristina! Great write up. Very helpful. May God bless you. Thank you from a someone who hasn’t sewn since high school!!! Great resource! Hi Marta! I have started!!! 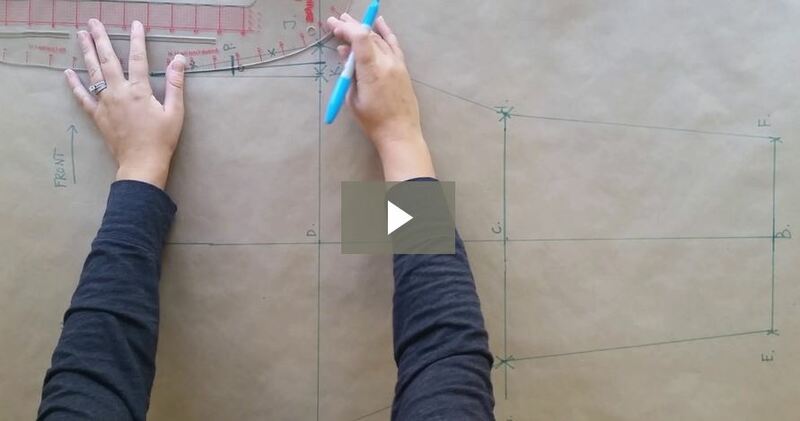 However, the videos will be pattern drafting related. 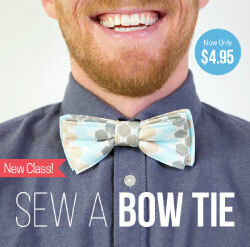 (https://www.youtube.com/user/IsntthatSew) However, If you want to check out some really awesome video and courses on sewing, my friend Margaret from (https://www.letslearntosew.com) has heaps of video, as well as detailed eCourses that are totally worth the investment! I guess I should be following your posts a lot more carefully. I really have to catch up. great article what is the foot called that’s the secret for top stitching? Hi LaShanda! I guess I didn’t make that SUPER clear did I…I’ll fix that….Ideally, an edge stitch foot is the best to use…but, generally you have to purchase it separate..But, for those of us who don’t have one, we improvise! I use my blind hem foot, which should come standard with most machines. Could you give a brief explanation on how to do these different types of stitches with a regular sewing machine? Thanks! I could. I will have to update the post though, as it will take me some time to create the samples. I will e-mail you when I’ve updated it, okay!? Do you have a question about one of them in particular?